Most people will remember Melissa Joan Hart from a variety of popular television shows she starred in during the 1990s, including Sabrina the Teenage Witch, Clarissa Explains It All, and more recently Melissa & Joey. Faith movie audiences will certainly remember her as embattled school teacher Grace Wesley in 2016 movie release God’s Not Dead 2. 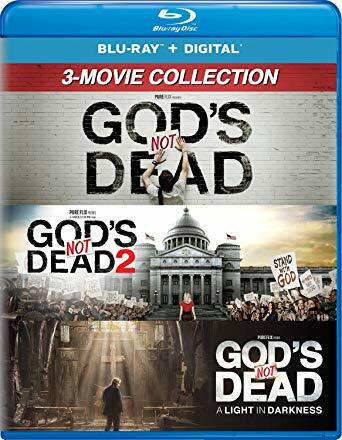 God’s Not Dead 2, which earned more than $20 million dollars at the box office, is part of a new God’s Not Dead video box set that recently came out on home video. The discs contain never seen behind the scenes video, original music videos by Safe Haven and Tricia Brock, as well as a thought-provoking look at student rights on university campuses. CBN.com recently spoke to Melissa Joan Hart about being a Christian working in a sometimes unforgiving movie industry, the unique set she worked on during God’s Not Dead 2, and perhaps her most important role, being the mother to three active, growing boys. A lot of people recognize you from many television projects that you have worked on over the years, including Melissa & Joey , Sabrina the Teenage Witch, and Clarissa Explains It All. But a lot of Christian movie fans know your work from God’s Not Dead 2. When that film comes to mind and being part of that particular project what do you think of? I think of all my pre-conceived notions of what it might be. I saw the first one [God’s Not Dead] only after finding out about the part I was being considered for on the second one. It was then that I learned about the following that it had and how people sort of came to its rescue and watched it after the fact and spread the word about it. I got very excited about that. I got goose bumps watching the movie. It was all very positive. And then doing the movie I wasn’t sure if (the experience) was going to be more like filmmaking or more like Bible study. It started out more like filmmaking and then it did turn into a bit of a Bible study because we had some apologetics professors on the set. It was really special to kind of pick their brains. One of them was an expert on the Shroud [of Turin]. Having people around like that with that kind of knowledge was really special. It was really cool to have discussions on set and have people praying over me for my performance. There was a courtroom scene where I have to break down and declare that Jesus is my Savior. I ran into a gentleman in the lobby the morning we were going to film it on my way to to work and I just asked him to pray over me, that I would be able to deliver a good performance and have God speak through me and hopefully touch someone’s heart. My hope was I could deliver a really thorough and accurate performance because the movie sort of hinged on that one scene. So, I felt a lot of pressure and was scared and excited. Having everyone pray over me was just a really special experience. I have so many great memories of being on that set and being a part of that film. And then afterwards, to have it be recognized the way it was is amazing. I won a Grace Award for best acting. And then to have it open at number three at the box office that weekend was completely unexpected. It was a really special project to be part of. 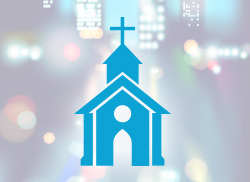 Is that something that you might seek out again … to have a major role in a Christian film? I have definitely been looking into books and projects that might lead that way based on my reading and interests in stories I hear about along the way. That is easier said than done. But, there is a market for it. I think Hollywood is paying attention to faith-based films now because they do so well. They have an audience that people didn’t expect and people really rally behind them to make sure there is more of these good feeling, heart warming stories. Hopefully, they will continue and they can move into the mainstream and be part of pop culture too. In doing some research for this interview, I discovered that you have talked about the importance of prayer in your everyday life and throughout your career. 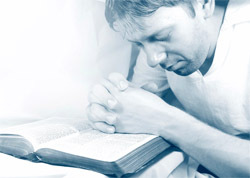 From your perspective, how does prayer and worship interact with your daily life and personal faith? I think that all through my life faith has always been there for me. As I talk to myself as I go through my day, I’m always going to God. It’s never just me talking to myself. I’m always talking to God about what the best course of action would be in a particular situation. I’m constantly asking the Holy Spirit to calm me down and quiet me. Being upset about something isn’t going t get me there any faster. I’m constantly just finding little moments throughout the day to spend with God. 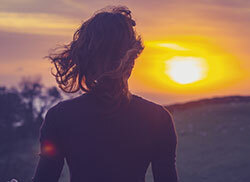 Of course, I fall to my knees when I come to a real crossroads when I have a major conflict in my life, or something that is really on my heart. As a family, we make it a habit to go to church every Sunday. We don’t show any shame in our faith. Prayer is just a very important part of our family. Faith is all very much an important part of our lives. I find that it is so helpful when you need those moments of calm and quiet to just open up and read the Bible. It is very reassuring when various verses will just pop into your head at just the right time. Does Melissa Joan Hart have a go-to verse that settles you down and gets you through stressful times when you need encouragement? I really wish I did. Considering what I do for work, I cannot seem to memorize verses from the Bible. We have memory verses every week for Bible study and I just can’t remember them. I don’t know if it is because of how the language is structured, I find that every week in my Bible study there is something that I want to stick … I find that I can recall things as they are needed but I really wish I could retain more exact verses of the Bible. I’m that person who is always saying, “What’s that verse where Esther is talking to so and so ...” I just don’t have that kind of recall. I have a gift for memorization and yet Bible memorization just evades me. Final question. On your Instagram page you have a statement that says, “You may know me as Clarissa, Sabrina, or Yearbook Girl but my boys call me Mommy ... and that’s my favorite role yet.” Through the years of becoming a mom and playing a mom, how have you grown personally and is there any encouragement you could share about something you have learned along the way? You know, being a mom really throws people in Hollywood off. They see me as a mother and want to put me in a role as 50 or 60 years old to a mom to teenagers. That’s not the way I look. I have a pretty young look still. I’m the oldest of eight kids and I have always used them as a marker for projects people don’t want to take. I try to remember that I’m a role model and that there are people looking up to me, watching what I am doing, that I want to be a good example to them. So, I have always felt that way about my sisters and brothers and it has just sort of transferred to my kids as well. What do I want my kids to be reading about me or seeing me play? But, I also don’t want that to stifle creativity. I am still an actor and I am playing parts. Someone still has to play Judas in stories from the Bible. I just make decisions based on whether it is a role that I feel I can really sink my teeth into. Because of being a mom I think the jobs have gotten a little harder to take because it is going to take a lot to take me away from my family. It would have to be a really good part. Get insight on new movies, music, and books all from a Christian perspective sent right to your inbox.